UPDATE: This is an oldie but a goodie. My kids are older, but with the sun finally staying out and the draw to the park is strong, this post has some good ideas to finish the school year strong and still enjoy the rays. 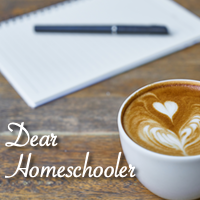 I, like most homeschoolers I’ve met, believe the homeschool adage ‘the world is our classroom’ to be true. Learning doesn’t stop because we leave the classroom. In fact, different environments can actually spur learning by sparking curiosity in a new topic, expanding lessons already learned, or helping to generalize skills. Today, we went to the park, and although this is a fairly regular occurrence, I was struck with just how much learning we did there. Sometimes, we will bring our school books to the park and just sit under a tree or at a picnic table and do lessons or read, but with some guided play, we can do a lot of learning without books. These are just a few of the activities we have done at the park. I will admit, it is probably more appropriate for toddlers, preschoolers, and those students in early elementary levels. Older students can bring their studies along and enjoy the change of scenery. What learning have you done at the park? Tell me about it below.